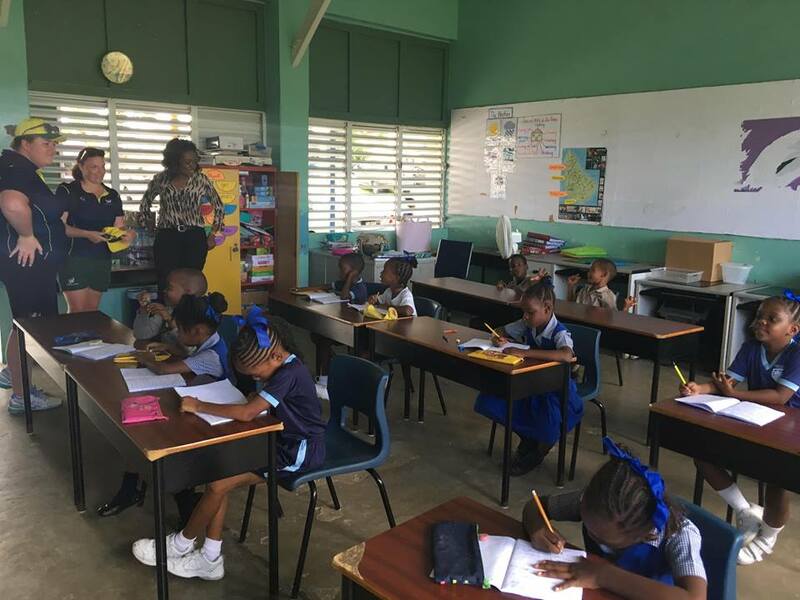 Tuesday This morning, a number of the group made their way to Grantley Prescod Memorial Primary School to run some activities and visit the students in their classroom environment. To say that we had fun was an understatement! We felt like celebrities, with many of the girls being pampered after the games, with their own personal hairdressers. We gave them some gifts and hugs; the smiles were endless and it was truly one of the best experiences so far. Tonight two of our teams took on the National team. What a privilege it was to be on the court with such talent. They were all vying for positions in the final squad of 12 to travel to Australia for the Commonwealth Games in April this year. We produced competitive performances and allowed them to practice against the Australian style of play. Our other teams also played highly competitive matches, cementing many of the newly formed combinations across the court. Tomorrow we look to have our second school visit, followed by some more night matches. Welcome to our Blog for the tour. Here is our report for our first half of the tour in Barbados.. Saturday....The anticipation was building for the first centre pass and wow, what a display of netball. Our girls matched up well on each of the opposition sides, either narrowly defeating or succumbing to the Barbados teams. We were incredibly impressed by the local talent and skill level. Their ability to read the play and their elevation were something not experienced by our players before but they adjusted well to the conditions, providing some outstanding passages of play. After our post-match meal we moved back to the bus in order to get some well earned rest! Sunday....This evening's matches saw the girls in each team strengthen their combinations across the court. Three of our teams had convincing wins against the locals, with many players covering multiple positions throughout the duration of the games. Both coaches are impressed with how quickly the girls are gelling as a unit. Tomorrow we are looking forward to a day to rest the bodies and enjoy our catamaran experience.